Great pic! Just love the inking over the stencil and the spray of gold and the edges and your layering, beautiful! Very cool pic, loving the selfie! 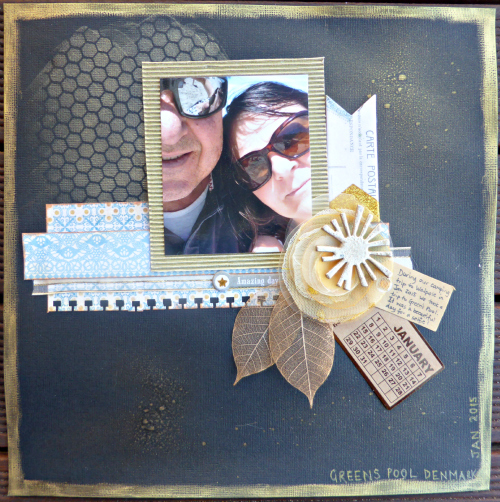 I love the gold through this one Hilary!